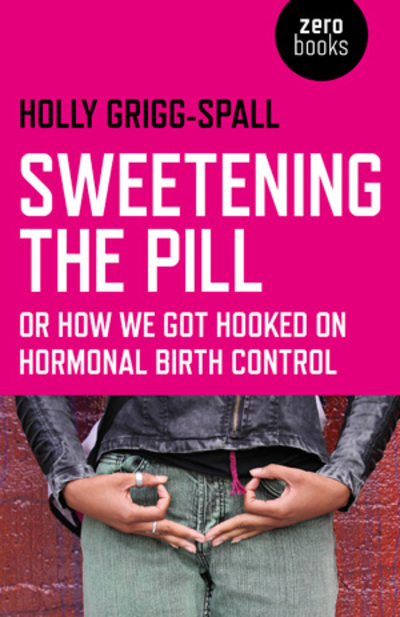 Sweetening the Pill by Holly Grigg-Spall. When you got your first contraceptive pill prescription, were you fully informed? Did your doctor talk you through side effects and other contraceptive options? In 'Sweetening the Pill: Or How We Got Hooked on Hormonal Birth Control', Holly Grigg-Spall argues that the pill is cast as the default choice for preventing pregnancy, with women being uninformed of the under-researched side effects and discouraged from taking charge of their own fertility. Each chapter begins with a woman's testimony of her experiences on the pill, with tales of horror physical and psychological side-effects. Having endured the journey from pill-induced depression herself, Grigg-Spall gives prominence to women's experiences. The real strength of the book, however, is in her clever arguments. Grigg-Spall presents some powerful arguments about how the contraceptive pill is linked to capitalism. She argues that the pill aims to produce the ideal worker, productive at all times of the month. She argues that the pill is part of the construction of the ideal woman: shiny hair, large breasts, clear skin and always sexually available. Grigg-Spall provides much to ponder, but I would not be relying on her one-sided political analysis in lieu of medical advice. She is correct that there is mixed evidence for a link between the pill and depression, but it is difficult to trust some of her conclusions given her evident lack of medical or scientific training. The final chapter of the book is dedicated to suggesting an alternative to being on the contraceptive pill. After her scathing criticism of doctors as a misplaced authority figure, she then seeks the wisdom of holistic body experts. This is perhaps the greatest weakness of the book. She does not give her readers any reason to trust holistic methods of fertility awareness. It comes across as suspicious that she is sceptical of the medical industry but not of alternative medicine. I highly recommend the first few chapters of this book, as you are unlikely to encounter Grigg-Spall's insightful arguments elsewhere. However, it all goes downhill from there. It is clear that Grigg-Spall has the best of intentions in wanting women to know that there are options beside hormonal contraceptives, but read with a critical eye.